I visited the Monticello Railway Museum days with the family on a recent Sunday. What a great day to be around trains! We had 100% sunshine with a temperature in the mid 70’s. 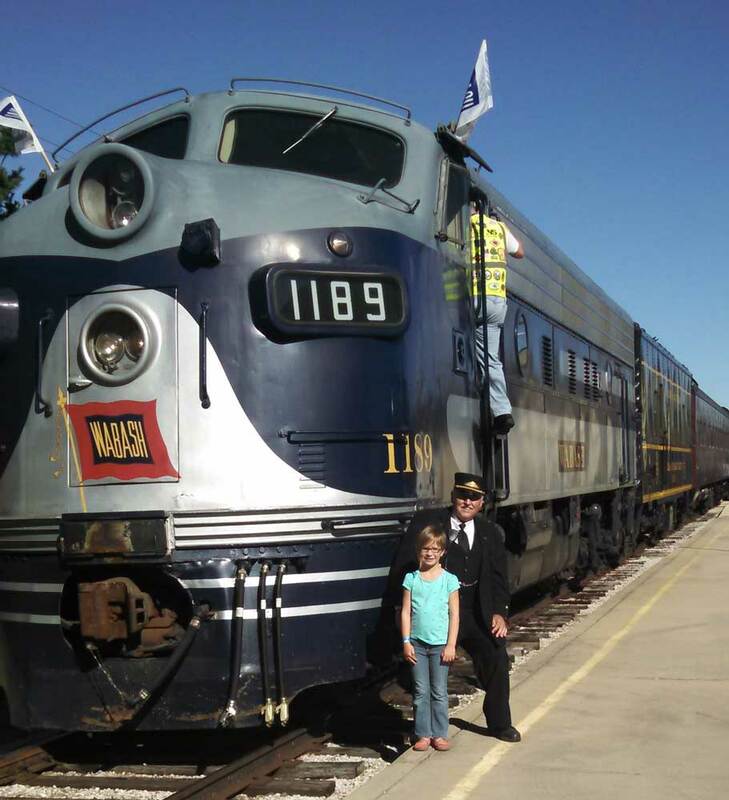 The photo above features our oldest granddaughter Addie and Dale Jenkins of Illinois Terminal fame. Dale got Addie and I a cab ride in 1189. It was a blast!!!!! As a railway engineering student at Illinois, professor Hay (who ran the program and literally wrote the book “Railway Engineering”) encouraged us to go out to the museum and lay track. I’m not sure if that was to teach us about track or to funnel free labor to the museum. We lived in Champaign for a while after school. Our first two sons were born there and we regularly went out to the museum to help. I even learned to fire a steam locomotive there, but that was over 35 years ago. This railway museum has been a part of my entire adult life which can now be shared with grandkids. Nothing much changes though. The railway engineering students are still going out to the museum to lay track. It’s funny seeing a section with concrete ties and rail clips.